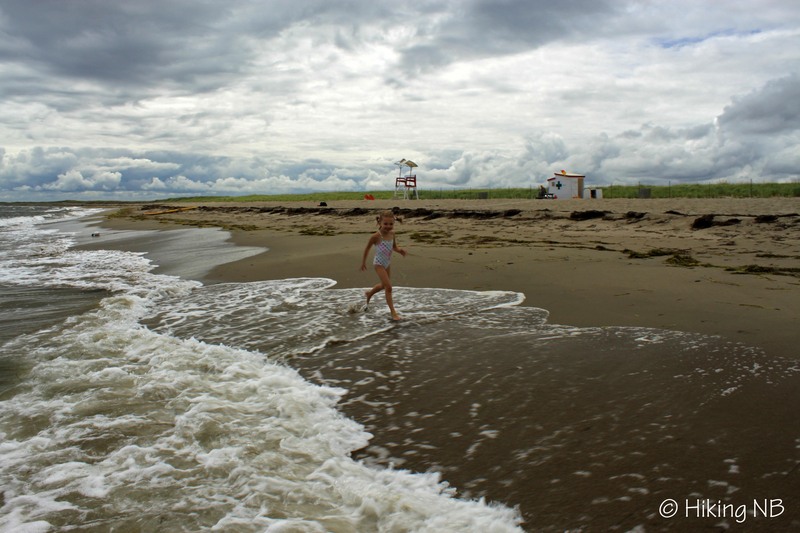 What better way to cool off after a summer hike than to hit the beach. The following is a list of my top 5 picks for trails near sandy beaches in the province that are great for swimming. There are also many beautiful rocky beaches along the Bay of Fundy that are great for photography but I will leave those for a future blog post. 1. 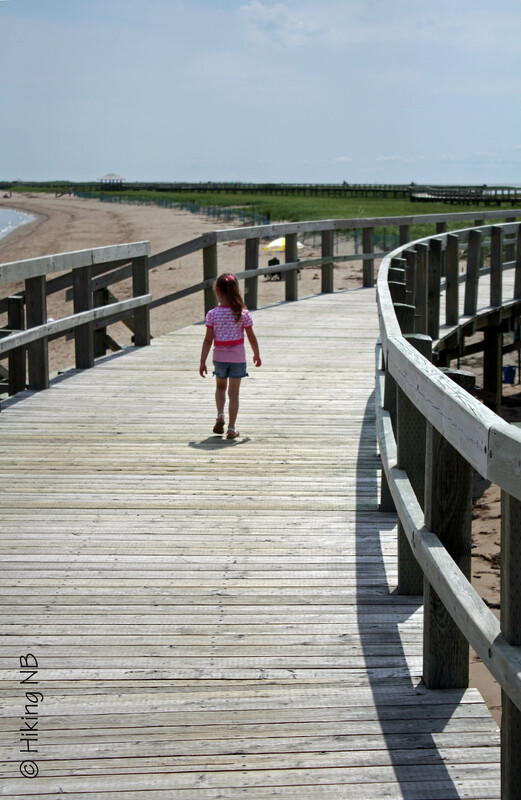 Kelly’s Beach Boardwalk – My parents used to take my sister and I clam digging at Kouchibouguac Park. That was back in the time of the floating boardwalk. The boardwalk is now on pillars but it still crosses the dunes and estuaries, ending at the beach with the warmest saltwater north of Virginia. If the boardwalk is not enough of a hike you can take a walk on the beach. The beach is on a 6.5 km sand dune. There is also a crushed rock walking trail that goes along the shore in either direction (Calendars Beach to Kelly’s Beach Trail and La Source to Kelly’s Beach Trail). 2. Cape Jourimain Beach – For many years I said I would stop at the beach at Cape Jourimain on our way back from visiting Prince Edward Island. A couple of year’s ago we stopped with the kids and wondered why we hadn’t done it sooner. From the visitor center you can take the Lighthouse Trail along the coast to an old lighthouse on a point. From all along the trail you have views of the Confederation Bridge which links New Brunswick with Prince Edward Island. Near the start of the trail you can access the beach from a small lookout platform. The beach runs from the Confederation Bridge to the lighthouse. 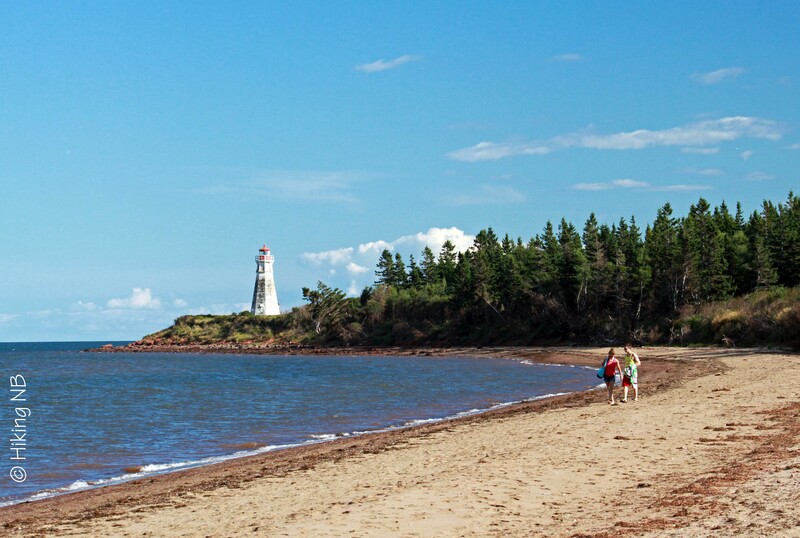 The bridge and the lighthouse make a good backdrop to an amazing sandy beach that is great for swimming. Cape Jourimain is definitely undersold on the quality of their beach. 3. New River Beach – If you get to New River Beach and notice it is only a small sliver of sand it probably means the tide is high so go for a hike. The Chittick’s Beach and Barnaby Head Trails start from the south east parking lot of the park. 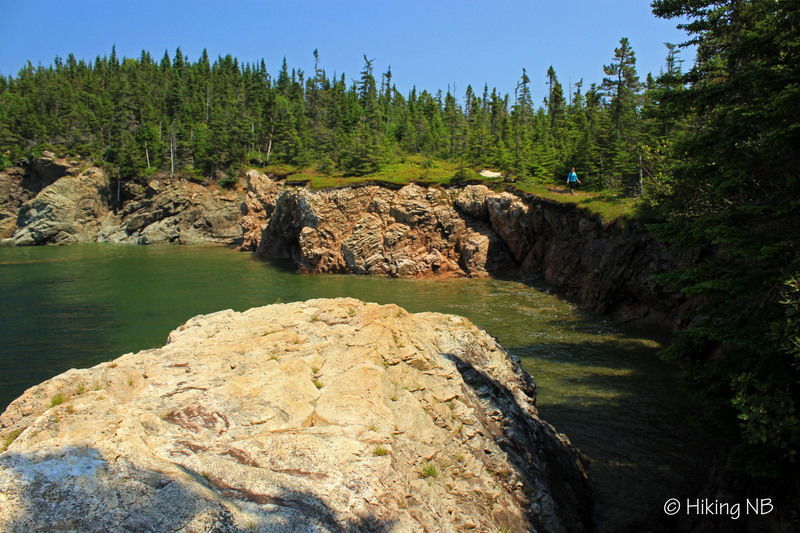 The trails offer many lookouts of the rugged fundy shoreline interspersed with historical remnants of old homesteads. 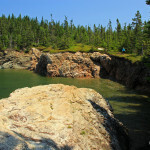 Between the lookouts are several rocky beaches to explore. When you return to the main beach it should have grown significantly. At low tide the sandy beach stretches out for a long distance into the bay. This wide flat beach is where they hold an annual sand castle building competition. The waters in the Bay of Fundy are usually cold so you may want to check the water temperature on the board before jumping in. 4. Beresford Beach – The first thing you see when driving in the short road to Beresford Beach is the boardwalk crossing a small lagoon on your left. There are also trails around the arena to your right. These trails circle the arena then lead through the woods to access another boardwalk. This boardwalk crosses the side of a bay and comes out at Main Street and Tim Hortons. If you continue and park at the beach you will find a trail that follows the beach. Along the trail is a lookout tower that provides magnificent views of Chaleur Bay. When you are done exploring the boardwalks, lagoons and lookouts make sure you don’t forget to go take a swim at the sandy beach. 5. 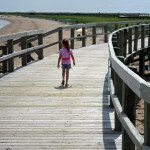 Bouctouche Dunes – The Irving Arboretum in Bouctouche is a great place to explore if you like trees. From there you can take the Dunes to Downtown Trail through the woods all the way to the Bouctouche Dunes. The Irving Eco-Centre and Lookout Tower are at the start of a 1 km long boardwalk that snakes along the dune. The sandy beach in front of the boardwalk extends along the 12 km sand dune so you won’t run out of places to walk or swim. 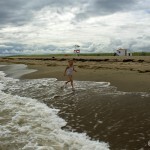 And Bouctouche isn’t too far from Kouchibouguac Park so the water should be warm. 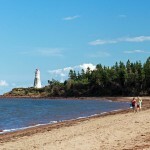 If you like New Brunswick hiking trails and New Brunswick beaches then check out some of these places that combine the two activities. Its a great way to enjoy the heat of the summer. If you have a favorite trail/beach combination in the province I would love to hear about it in the comments below.